Traxxion Dynamics has created a Suspension Decoupling Kit for the 2018 Honda Gold Wing Tour. This kit is an extremely inexpensive way to get a small improvement out of the electronically adjustable shocks on the Tour Model Wings ONLY. This kit is not used on the Standard Model Wings. The Tour has shock absorbers that have damping adjustment that is changed when you change “Modes”. Selecting a different mode alters drivetrain performance characteristics, and unfortunately in our opinion, it alters suspension characteristics as well. 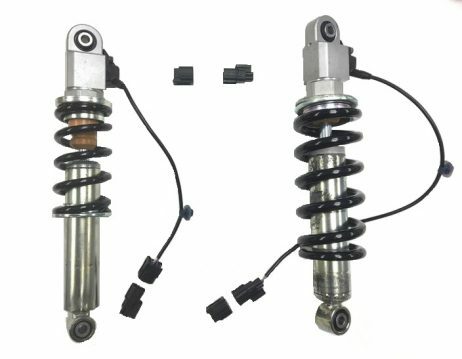 The stock shock absorbers have very soft springs and are underdamped. Putting the bike into “Sport” mode gives the shock absorbers the most damping control they are capable of attaining. 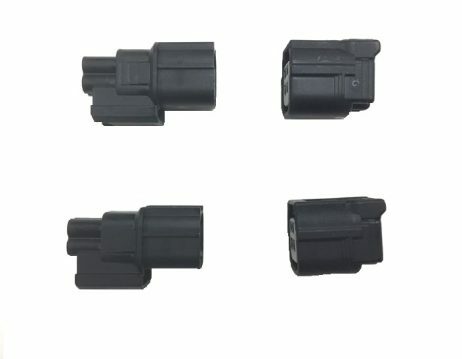 With this kit, you will put your bike into Sport Mode, and then disconnect the shock adjusters and block off the connectors and the wiring harness. Then you can change into any mode you want and your suspension will be functioning the best it’s capable of without upgrading the shock absorbers. To install the kit, see the installation video on YouTube. WARNING!!! It is important to note that putting the block-off connectors on the front shock absorber is VERY difficult. There is very little room to work, and it is likely to be VERY frustrating. In the end, the result will be worth it!